The Prisma is now available in glorious High Definition (HD)! Simply connect your Prisma HD to a standard HD TV set, and a rich, vibrant, crisp image is at your command. 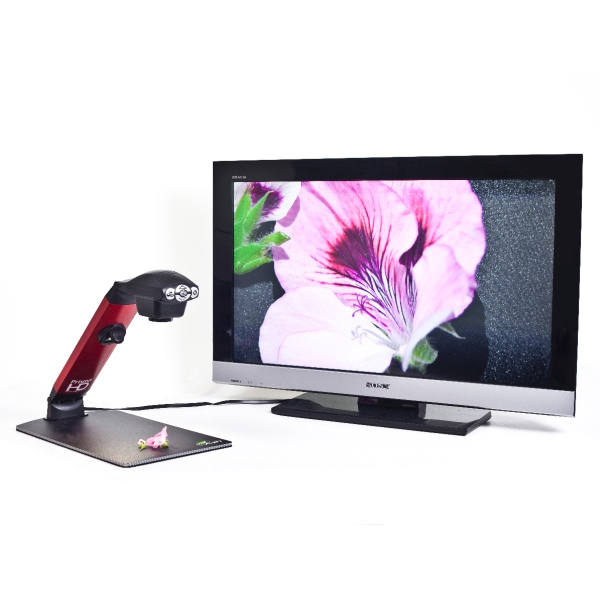 You’ll enjoy a wide range of magnification levels, from 2.5x to 100x on a 32” screen, crystal clear images with semi-colors, adjustable LED illumination, adjustable camera height, and a high quality travel/storage case, all in a simple to operate video magnification device. The Prisma HD is a premium visual solution to benefit those with low vision conditions such as Macular Degeneration, Glaucoma, Cataracts, Retinitis Pigmentosa and Diabetic Retinopathy. Let the Prisma HD assist with your freedom to read and write with comfort and ease, when and where you want.